Home » Trips and hiking in gorges Terskey Ala-Too. Tours on sights of environs of lake Issyk-Kul. Karakol - settlement Ak-Suu - gorge the Altyn-Arashan (the Gold Source) - the river Arasan - pass Ortok of 2300 meters above sea level - a resort Altyn-Arashan of 2600 meters above sea level - Karakol. Extent of a route - 70 km. Seasonal prevalence - May - September. The Best time for excursion - July - September. The advanced order - for 36 hours. 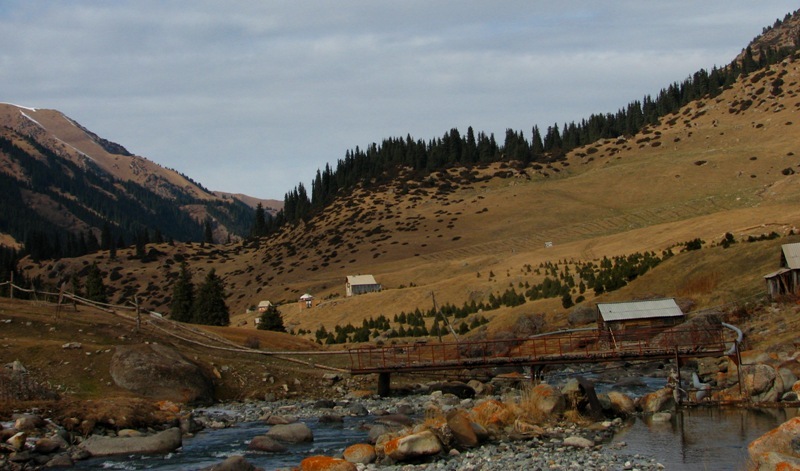 Transfer: Karakol - a resort the Altyn-Arashan. From Karakol our way lays in settlement Ak-Suu. From this settlement (old name Teploklychenka) in the autumn 1869 were the military garrison of the Russian armies is moved to Karakol. During that far time the military garrison referred to Aksuuskim as strengthening which was control centre Issyk-Kul of district. The asphalt road will be stretched a little more behind settlement Ak-Suu and will soon end in gorge Ak-Suu. It is one of extreme roads to tourist sights of vicinities of lake Issyk Kul. This road can be overcome by jeeps with high clearance, it is necessary for that to overcome huge stones, gullies. Near to resort Arashan there is a rise from chernozem which too is necessary for overcoming, even during a rain. Before the resort small pass Ortok 2300 ,meters above sea level. Stops in ways, photographing of vicinities, the rivers Arasan which flows in deep gorge. Arrival on resort Arasan. This one of the most beautiful gorges in Kyrgyzstan being on northern slopes of ridge Terskey Ala-Too. On resort Arasan it is possible to be expiated in natural hot radonic springs, and then to pass in cool waters of the river Arashan which flows nearby. Picnic at the river. Walks in vicinities of a resort. 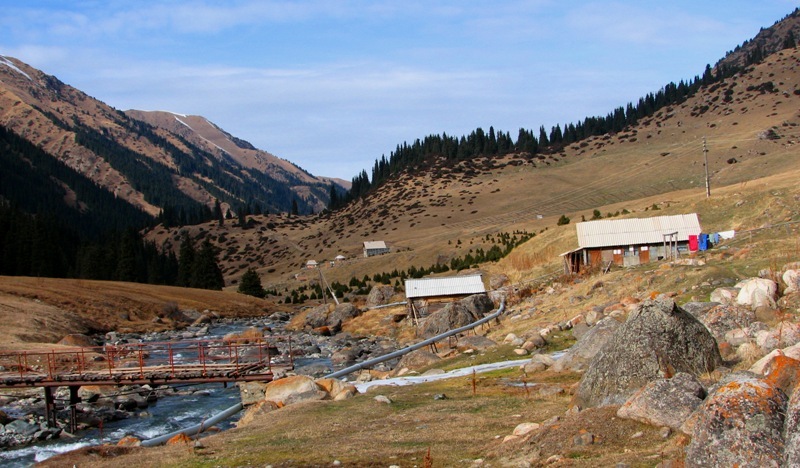 Thermal sources "Altyn-Arashan' are located in a picturesque valley, in a zone of the Alpine meadows. Near to the river there are thermal springs with different structure of water and temperature. In a source there is a hydrogen sulphide, the temperature of water reaches + 41 degrees, in radonic +32 degrees. Here it is possible to take baths the year round, local curative water treats illnesses of joints, bodies of digestion, a liver, kidneys, hearts. From a resort on the south and further on a southwest the track to lake is laid Is Ala-Kel from which it is possible to go down in gorge of the river Karakol. 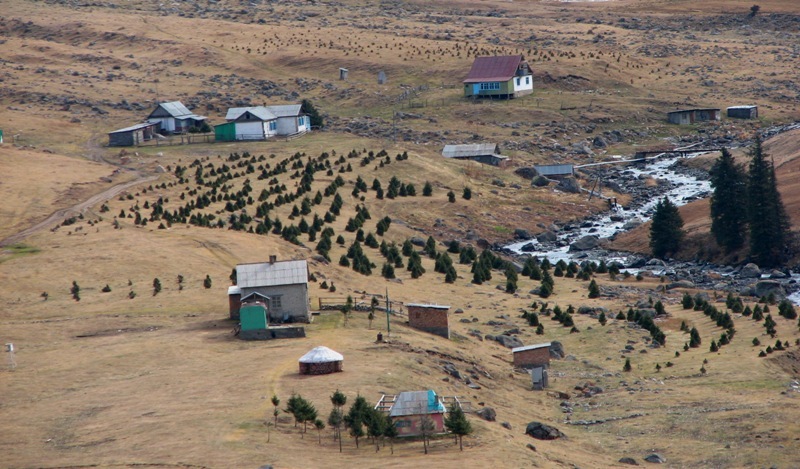 In vicinities of curative springs there are some wooden small houses on a picturesque glade on the right and at the left on coast of the river Arashan. On the south the kind on unapproachable 5000 - Aksu a wall opens. 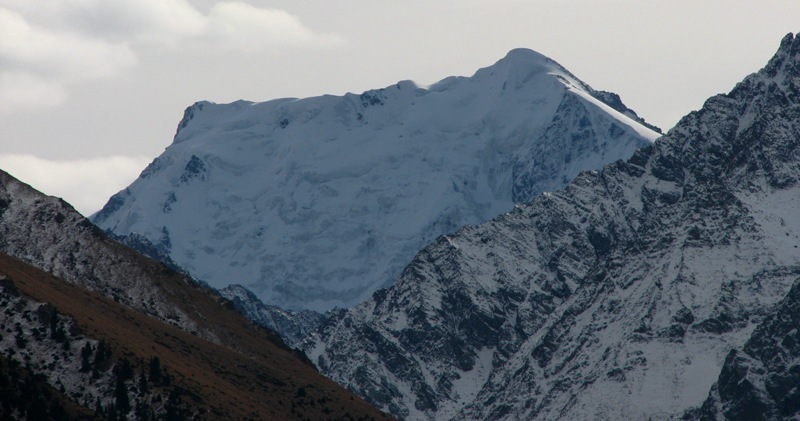 This snow-ice top is similar to huge white tent dominating above the next peaks Terskey Ala-Too. In second half of day returning to Karakol. Arrival in Karakol.